It sounds like a dream, but it’s the essence of what Bike Weekender’s road cycling holidays are about. We’re long-established weekend and short break specialists, in both summer and winter; everything we do is geared towards delivering hassle-free holidays that maximise your enjoyment and time spent in the saddle. 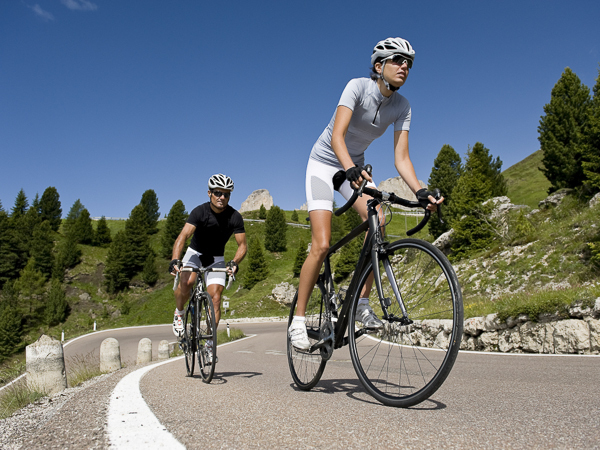 The aim of our holidays is to get you the most cycling possible over a short time away. Our standard weekend breaks work on the same format as our long-standing Ski Weekender winter trips, running Thursday evening – Monday afternoon to give you 4 days on the road. All you need to do is arrange your flights; we’ll then pick you up from the airport and take you to one of our cycling bases, all of which have a very wide range of great riding possible straight from the door. We have two different standard packages – Bike Weekender ‘Classic’ and Bike Weekender ‘Lite’. Both of these share the philosophy of including everything you need to get the most from your time away. Airport transfers, half board accommodation, bike storage facilities, quality bike hire options available (pre-arranged as part of your package), and a knowledgeable team on hand to help you choose routes and plan your riding each day. Both ‘Classic’ and ‘Lite’ weekends run from a central base location in the beautiful Aravis mountain range of the Northern French Alps, just 1 hour from Geneva airport. Our ‘Classic’ trips are also available across an expanded range of locations in the Northern and Southern Alps, Provence and the Côte d’Azur. With our ‘Classic’ holidays we’re with you at every turn of the pedal. You will find our vehicles supporting you on the route, meeting you on the cols, providing snacks and drinks, as well as assisting with route marking, carrying spare clothes and any other gear you might need. 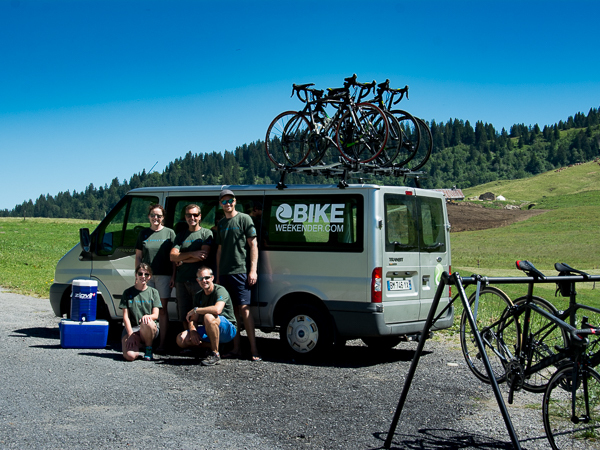 This vehicle support also enables some amazing “big day out” route options; cycle multiple famous Tour de France cols in a single day, and then relax as we drive you back to your base for a well-earned shower, drink and hearty dinner. On our ‘Lite’ holidays you still get all the essentials making up a fantastic cycling break, for a great value price, with a relaxed independent riding format. We’ll help you choose appropriate routes and climbs for each day; you’ll then be able to head straight out from your base with a route card or pre-loaded GPS track for some fantastic riding. Whilst ‘Lite’ breaks don’t come with the full support of a vehicle during your ride, this does leave you free to take as much time as you like at the top of the cols soaking in the views or recovering from climbs over a leisurely lunch. These self-guided cycling holidays are perfect for riders looking to explore amazing cycling country on an independent basis. We also regularly organise custom tours for larger groups (6 or more) and cycle clubs. These can be arranged at a range of great bases located throughout the Northern and Southern French Alps, Provence and the Côte d’Azur. We work with groups to design the whole experience, based on their needs. Stay lengths, accommodation and riding routes can all be chosen from a wide range of options. From the epic Tour de France mountain routes of the Alps, to the rolling hills of Provence and the sun-drenched shores of the Mediterranean, we can put together a truly unforgettable cycling trip. 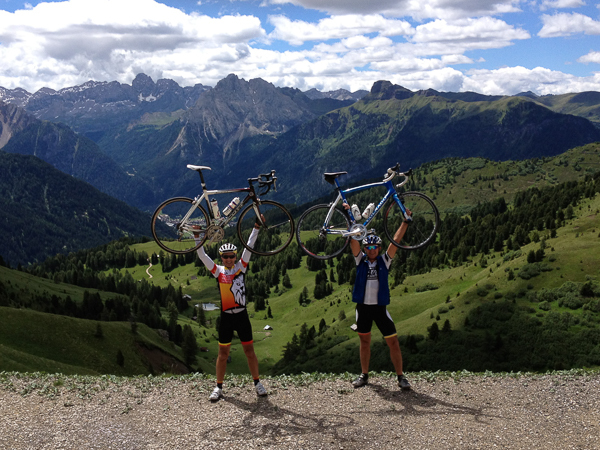 Interested in a Weekend Road Cycling Holiday?